The fact of the matter is that the majority of the people I know are wholly indifferent to Fred Armisen and Carrie Brownstein’s long-running parody of a town full of hipsters, pop culture obsessives, and aging progressives. No one in the circles that I run into cop to actually watching the show because there’s really no point. They’re living it every day. In a city with a coffee shop or a boutique on every block with four budding artists and musicians behind the counter serving dozens of aspiring entrepreneurs and DJs every day, the show is more documentary than caricature. Not for nothing did the show land Emmy Awards in 2015 and ‘16 for Production Design. They get the details right. Of course, these aren’t the kinds of subjects you get to address when visiting the set of TV show, especially when the publicity department gently suggests that you don’t ask about it. Though when the show’s stars do sit down for a quick chat in the midst of a busy shooting day, it does come up. And Armisen and Brownstein’s answers are as measured and diplomatic as you’d expect. They respectfully disagree with the shop’s claims of trans-misogyny and indifference towards inclusion and talk about how they’ve moved the characters of Candace and Toni to other parts of the city. There were no signs of frustration or any bad vibes being thrown at the cast and crew on the sunny fall day that I was allowed to hang out. 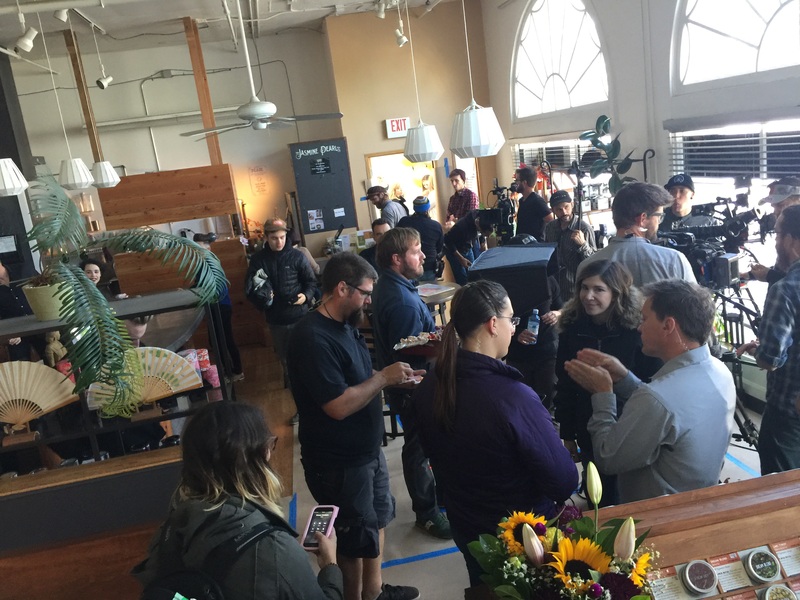 In the shared workspace that doubled as Portlandia’s production offices for the day, a middle-aged couple managing the details of their web business seemed bemused by the gaggle of reporters and assistants bustling around them (charmingly, they seemed to not know anything about the show when asked). And there was no sign of anyone who worked for the nearby tea shop that was being used to film a quick scene for the episode where Fred decides to start his own cellular phone company. The only desultory looking folk were the gaggle of young assistants who slumped around the set, frowning at their smartphones. The mood on the set was more a sense of relief. Season seven was just about wrapped, which opened everyone up to move on to other jobs (Armisen was off to work on the third season of Kimmy Schmidt and, for Brownstein, there are rumors of new Sleater-Kinney recordings in the future). 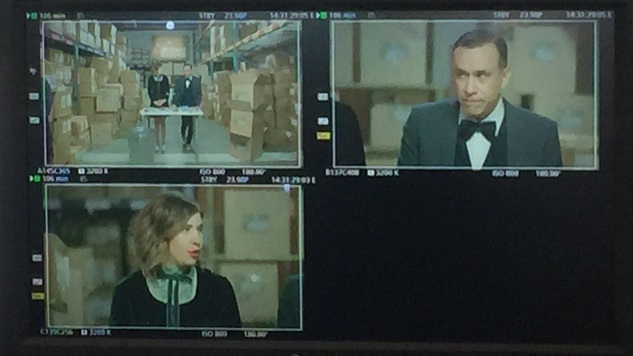 Later on, the producers dropped the additional bit of news on us that Portlandia’s next season would be its last. No one seemed more relieved at that notion than Brownstein. Not only because she has other projects that she is interested in pursuing but also she appears ready to be done with being a proxy and punching bag for all that is wrong with the gentrification and rapid growth of her hometown (ironically, something that she addressed with wit and power on No Cities To Love, Sleater-Kinney’s 2015 comeback album). Watching the two co-creators of this show together was a study in contrast. Brownstein kept a stiff back, avoided most eye contact, but gave thoughtful, sociopolitically-minded responses to every question. Armisen, on the other hand, kept things loose, jokingly answering questions for Carrie when he wasn’t poking fun at himself. That opposition extended to the two scenes I watched being filmed. They were small pieces of the larger puzzle of the cell phone-centric episode: the TV versions of Fred and Carrie chatting over tea and a faux-infomercial for the kind of crummy smartphone accessories you can find at most gas stations. Armisen was chipper throughout, joking with the crew and preparing to try variations on the mostly-improvised dialogue. Brownstein just looked ready for the day to be over with. Though when they started rolling, or at a down moment when she realized I was taking a picture on my smartphone of the set with her in it, she snapped to life and beamed. Those small snippets revealed just how much trust the two have in each other and their abilities, and the trust they place in the post-production team to hone their unkempt improvisations into something presentable and funny. The infomercial bit, as filmed, was shaggy, long, and fitfully amusing as they explained how useless these plastic gewgaws were before throwing them noisily in a metal trash can. But that 20 minute piece of filming had some hilarious moments and they’ll likely shine when edited down to a two-to-three minute chunk. The little I’ve seen of season seven of Portlandia bears out these strengths and reveals that the creators and producers are getting out at the right time. It’s hard to maintain a level of consistency with sketch comedy shows, particularly ones with recurring characters that need to be shoehorned into new scenarios and situations. Portlandia has done a better job than most, but they are straining a bit to do so this time around. It also must be weighing on Armisen and Brownstein a bit that they have, in some small or large way, contributed to the boom times in Portland that have resulted in a “housing emergency” with thousands of people flocking to the city, with rents spiking and infrastructure straining in response. I definitely wouldn’t put all of that on something as silly as a TV show. But in the often shortsighted, knee jerk way that frustrated people often respond to crises, there are many others that do consider Fred and Carrie to be a huge part of the problem. So as Portlandia kicks off its seventh (and second to last) season, you can expect the grumblings and shrugs from within the city to get louder and deeper, and the laughs from the rest of the world to continue unabated. 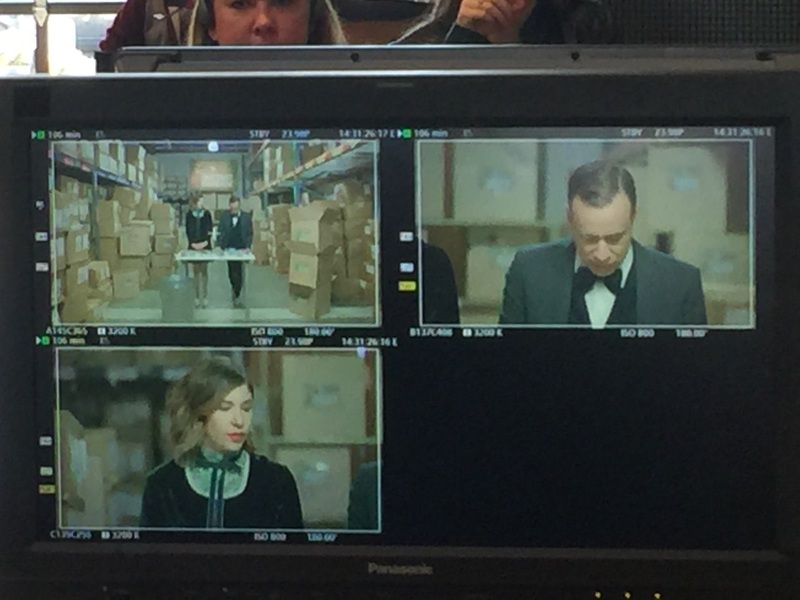 Portlandia ’s seventh and penultimate season starts tonight on IFC. Robert Ham is an arts and culture journalist based in Portland, OR. Read more of his work here and follow him on Twitter.